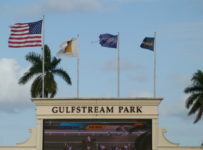 This afternoon, Gulfstream Park will have a mandatory payout on its Rainbow 6 and Tampa Bay Downs will close the regular portion of its 2015-2016 meet. 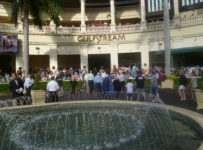 Gulfstream has a nine-race card with first post of 1:15 p.m. Tampa Bay has ten races and a first post of 12:35 p.m. The carryover on the Rainbow 6 is $71,509. It is on the fourth through ninth races. 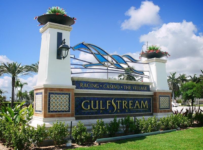 Gulfstream will divide that amount plus 80 percent of the day’s Rainbow 6 bets among all ticket holders with the most winners in the six races. 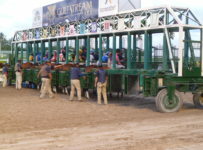 It is a 20-cents per combination-only bet, with multiple horses permitted in each race. 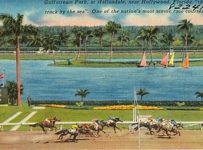 On most days, Gulfstream pays out the carryover plus 80 percent of the day’s bet only when there is just one ticket with all six winners. When there are multiple winning tickets it takes out 20 percent of the day’s bet, divides 56 percent among winning tickets and adds 24 percent to the carryover. 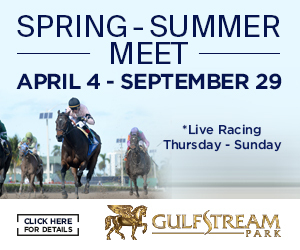 Today’s feature race is the $75,000 Miss Gracie at seven furlongs on dirt for fillies and mares 3-years-old and up. Too Clever By Half is the likely favorite in the six-horse field. 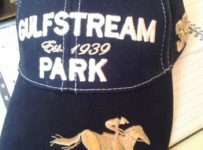 Gulfstream had two stakes races on Saturday. 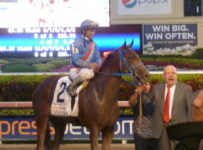 Eddie Castro rode both winners. Sweet Victory beat Noble Beauty by three-quarters of a length in the $75,000 Honey Ryder at 1 1/16 miles on turf for 3-year-old fillies and mares. Sweet Victory won in 1:40.77 on the course listed as firm. She is trained Todd Pletcher. Copingaway beat Giant Run by 1 ½ lengths in the $75,000 English Channel for 3-year-olds. Copingaway won in 1:39.76. 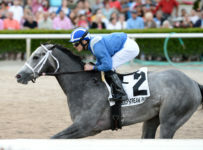 He is trained by Todd Pletcher. 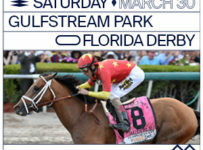 There are no stakes races on the Tampa Bay card. 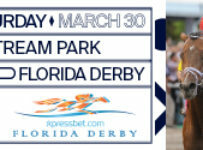 The next race day at the Oldsmar track will be Thursday June 30. 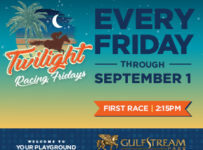 Tampa Bay also will have racing on Friday July 1 as part of its fourth annual two-day Summer Festival of Racing. Florida’s fiscal years end on June 30. 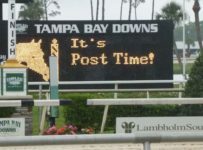 By racing on the first and last days of each fiscal year and having its regular schedule of more than 40 race days, Tampa Bay is eligible to be a year-round host track for inbound simulcasts of races at thoroughbred tracks in other states. 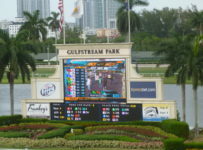 In that business, Tampa Bay and Gulfstream purchase signals from tracks such as Belmont Park and Churchill Downs and sell them to other pari-mutuels in Florida.